The third title in the John Puller series to follow Zero Day and The Forgotten. Military CID investigator, John Puller, has returned from his latest case in Florida to learn that his brother, Bobby, on death row at Leavenworth Military Prison for national security crimes, has escaped. Preliminary investigations show that he may have had help in his breakout. Now he's on the run, and in disguise, and he's the military's number-one target. John Puller has a dilemma. Which comes first, loyalty to his country or to his brother? Bobby has state secrets that certain people will literally kill for. But blood is thicker than water, and the brothers are close although even John does not know for sure what Bobby really did for the government, nor if he's even guilty of his crimes. It becomes swiftly apparent, however, that Bobby's role was powerful and far-reaching. With the help of John's long-time friend and colleague, General Julie Carson, both brothers move closer to the truth from their opposing directions. And this case puts John Puller in a place he thought he'd never be, on the other side of the law, where even his skills as an investigator, and his strength as a fighter, might not be enough to save him. And his brother. 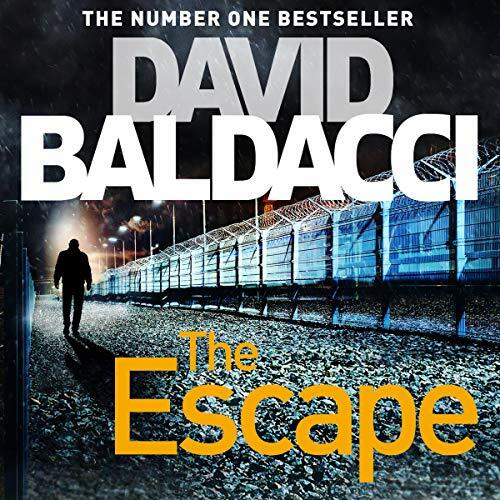 ©2014 David Baldacci (P)2014 Pan Macmillan Publishers Ltd. The 3rd of a great 4 book series (so far), perfectly performed and highly recommend, I'm really looking forward to a new book!